iKON released performance video teaser for their upcoming title song Goodbye Road. The teaser drenched in muted colors focuses on Chanwoo, Donghyuk and Yunhyeong both visually and vocally giving us a taste of the song that leaves us craving for more. Dancing is softer as it befits the song and in signature style of song choreographers Kinjaz who have previously worked with iKON on Love Scenario and Killing Me. As we are approaching the end of the best teasing period iKONICS have ever experienced it is up to us to do the most with it. To help iKON’s visibility in preparation for Monday release please like and watch the teaser on Naver. If you do not have a Naver account it is easy to make one using Facebook or Line. Armed with your newly acquired Naver account you can now help iKON by liking and upvoting Naver articles on the performance video teaser. This is something I never thought I would say at the start of a weekend but I cannot wait for Monday! Who is excited iKONICS?!!! iKON released the third lyric narration video for their title track Goodbye Road featuring Bobby, Chanwoo and Yunhyeong. You can enjoy the melancholy lyrics in English too as narration video comes with subtitles. Don’t forget to watch and like the narration video on YouTube and Naver. 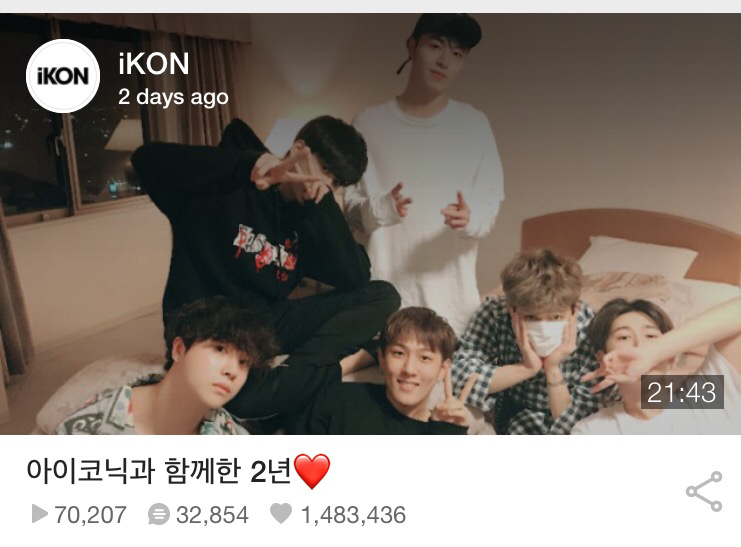 As announced iKON’s youngest member has opened his YouTube channel and you can enjoy his hilarious first upload featuring a nagging Yunhyeong as well as Donghyuk and Hanbin. Besides iKONICS, fellow YouTuber and YGE artist AKMU’s Suhyun was excited to see Chanwoo venture into YouTube waters. [ Akmu's Suhyun IG story update ] Featuring Youtuber Chanwoo. That is a collab we would love to see! Don’t forget to subscribe to Chanwoo’s channel Chan Woo Sul and like his first video. At 3PM KST on February 17th, history was made for iKON when they reached their 100th hourly Perfect All Kill for their title track, ‘Love Scenario’. ‘Love Scenario”s success continues to skyrocket, even from a brief lapse in chart figures over the last few days. It seems that ‘Love Scenario’ just can’t stop taking the world by storm. Continue reading iKON breaks 100 hourly Perfect All Kills for Love Scenario! Posted on February 17, 2018 February 17, 2018 Author 148494ekdCategories Charts, Come BackTags b.i, Bobby, bugs, Chanwoo, Donghyuk, genie, iKON, ikonic, Jinhwan, June, Love Scenario, lovescenario100pak, mnet, Naver, PAK, soribada, YunhyeongLeave a comment on iKON breaks 100 hourly Perfect All Kills for Love Scenario! 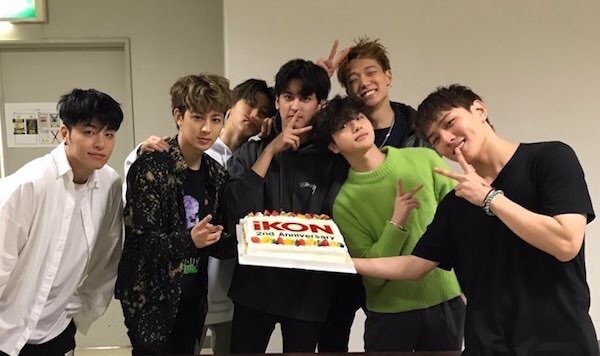 Today, after the Music Core performance iKONICS were treated to a surprise to beat all surprises. All iKON members opened public Instagram accounts at the same time and proceeded to bomb the Instagram with photos, videos and comments trying very hard to make up for the last two years of radio silence. iKONICS used to scarce and slow updates were completely shocked and overwhelmed with the sudden influx of content. Not even a day after opening their accounts all the members have over 200 000 followers. Here are all of their accounts so you can follow them if you haven’t already but be warned June will blow up your notifications. JTBC has been treating us well with releasing unaired clips of the iKON Picnic’s talent show, so let us present for your enjoyment the magic that is Chanwoo.